You can email our coordinator at kpgcoordinators@gmail.com, or visit us any time. You can also join our Yahoo group. 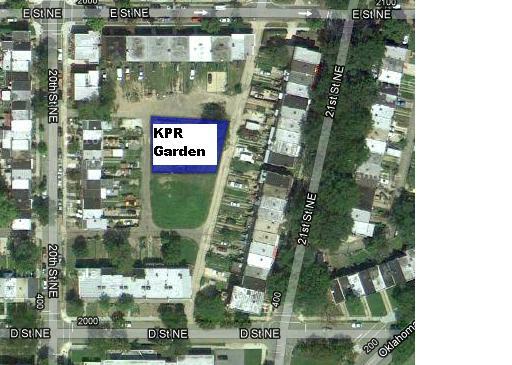 The Garden in located on the Northern half of the interior block among the alleys behind 20th, 21st, D, and E Streets NE.